Οι Leverage μας έρχονται από την Φινλανδία. Συγκρότημα μελωδικού heavy / power metal, το οποίο δημιουργήθηκε το 2005. Στα πρώτα χρόνια ήταν αρκετά ενεργό με τρεις "ολοκληρωμένους" δίσκους, ένα ep, ένα single κι ένα demo. Όλα αυτά μέχρι το 2009. Έκτοτε χάνονται τα δισκογραφικά ίχνη της μπάντας, αν και τυπικά παρέμενε ενεργή. 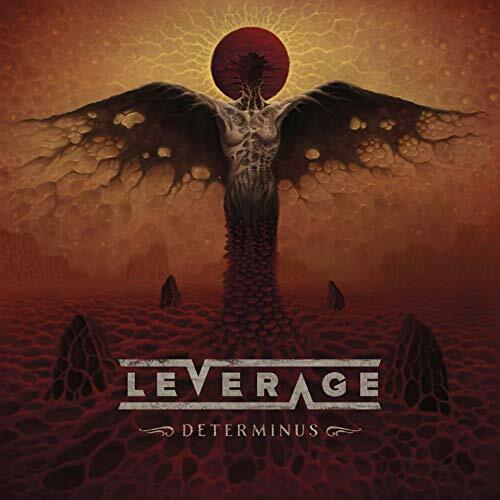 Δελτίο τύπου: «Finnish heavy rockers Leverage finally put an end to their 10 year hiatus between studio albums with the release of their highly anticipated new album, “Determinus”. Preceded by the release of the 2018 (digital only) EP “The Devil’s Turn”, Leverage are set to retake their place in the standings of the heavy metal/hard rock community with this new album. Leverage is not a power metal band, nor an AOR band, and definitely not a throwback to the 80’s band. Leverage don’t fall into an easy category. Leverage developed their own style of heavy rock in the 2000’s. For the band, it has always been about making and playing music with all of their hearts and souls while having a blast doing it. Their sonic stamp says “Leverage”. That’s it. “The new album is the same but different,” says guitarist and founder Tuomas Heikkinen. “This is the way I write. It is heavy rock and draws from a variety of influences, mine or the other members. I used to make demos that had every bass, drum and keyboard note MIDI programmed to detail and then just asked the guys to reproduce that exactly, but now I only underline the passages that I feel are essential and let them have a go at expressing themselves as musicians. And just as importantly, I always try to hear the vocalist in my head when writing. Pekka and Kimmo are two different singers, that definitely guides the process." Leverage landed on the scene in 2006 with the independent release of their debut album, “Tides”. With their blend of symphonic and melodic hard rock combined with some progressive metal twists, Leverage created a buzz on the scene and were signed by Frontiers for the release of their second album, “Blind Fire” in 2008. Spinefarm/Universal picked the band up for their next album, “Circus Colossus” (2009), but the band became inactive not too long after. “People that have heard the music say that it definitely has the Leverage vibe, but also covers new ground. It has variety, ranging from pretty damn heavy to all kinds of far ends at times. This album sounds like a band playing and there’s movement where we didn’t use to have it. There’s less overdubs, not too many huge hired choirs, very little MIDI orchestrations and less tracks all together,” continues Heikkinen. "Determinus" also introduces their amazing new singer, Kimmo Blom (Urban Tale, Raskasta Joulua) and a new guitar player, Mikko Salovaara. “Kimmo is a phenomenal and very versatile singer. He draws pictures in front of you the way he sings,” concludes Tuomas. "He has a huge presence, both seen and heard and is not the most typical vocalist in this scene. He approaches each song as a short story and really throws himself in there. Mikko is a monster guitar player with a background of very heavy and complex metal with a band called Kiuas. It was like "I am going to get him or Leverage will have only one guitar". I am happy he wanted to join the band. I have been blessed to get to work with outstanding guitar players in Leverage, first with Torsti and now with Mikko." Lyric video: "Burn Love Burn"